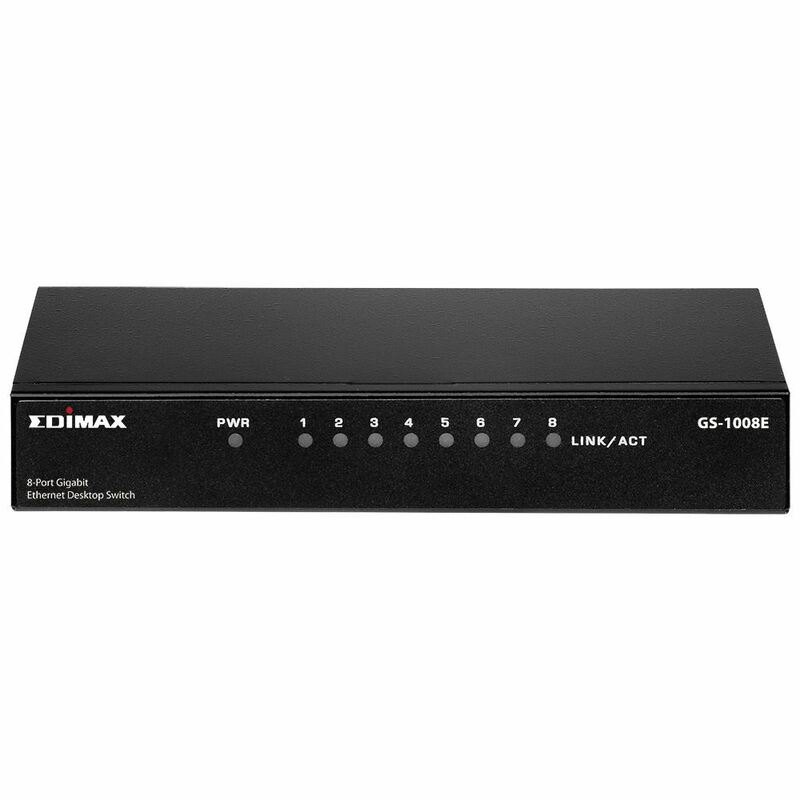 EDIMAX 8 Port 10/100/1000 Gigabit Desktop Switch. Perfect solution for Home and small business. Full Duplex. Auto Energy Saving Function. Plug and Play. Metal case design. 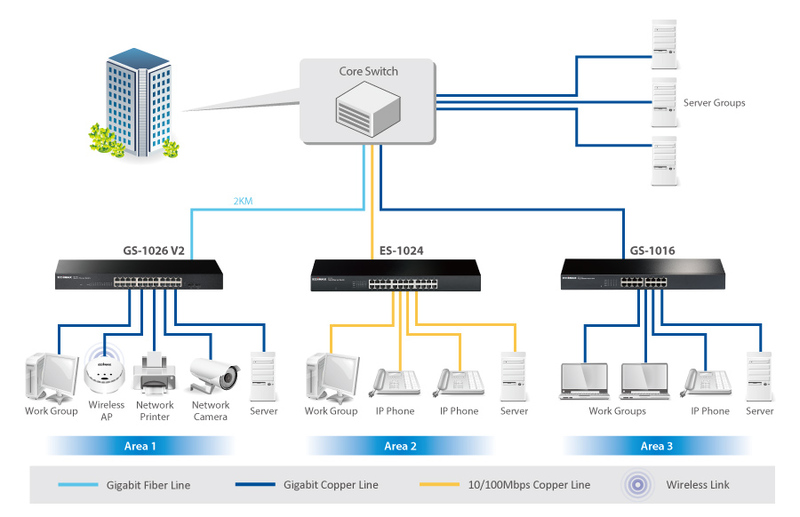 The GS-1008E is 8-port gigabit desktop switch designed to enhance network performance while maintaining a compact form factor. It boasts outstanding performance and high efficiency and its store and forward packet switching technology offer a reliable data transfer, which makes it ideal for network connectivity in the SOHO environment. The GS-1008E is designed with a metal casing and offers an easy and cost-effective Gigabit Ethernet solution for users looking to extend home networks and fulfil their online gaming, multimedia transfer and streaming needs. It is a superb choice to boost your network with higher performance and efficiency.